Aloha! Today is my day off work & I have taken the opportunity to do a little retail therapy. I opted for a 70’s boho vibe today which I love. 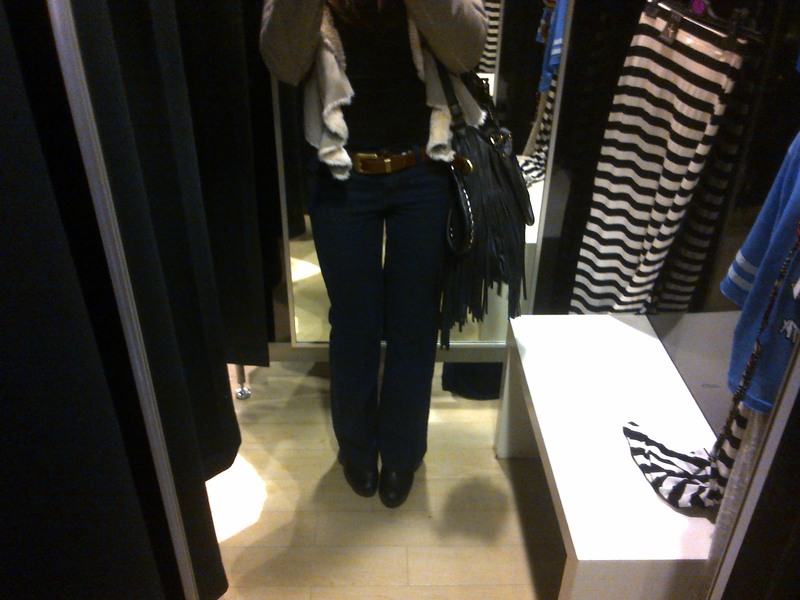 I wore my flare jeans that I bought from Next with some wedge boots I bought from Topshop last year. 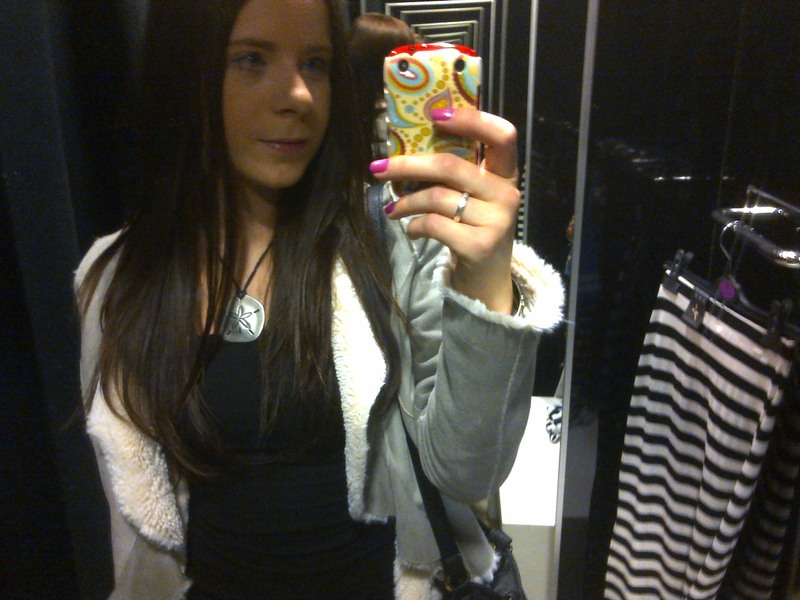 I added my faux fur jacket & some tassles in the form of my bag – very 70’s! Thanks to Primark for enabling me to get some shots of my outfit! I think bootcut jeans are my new favourite. 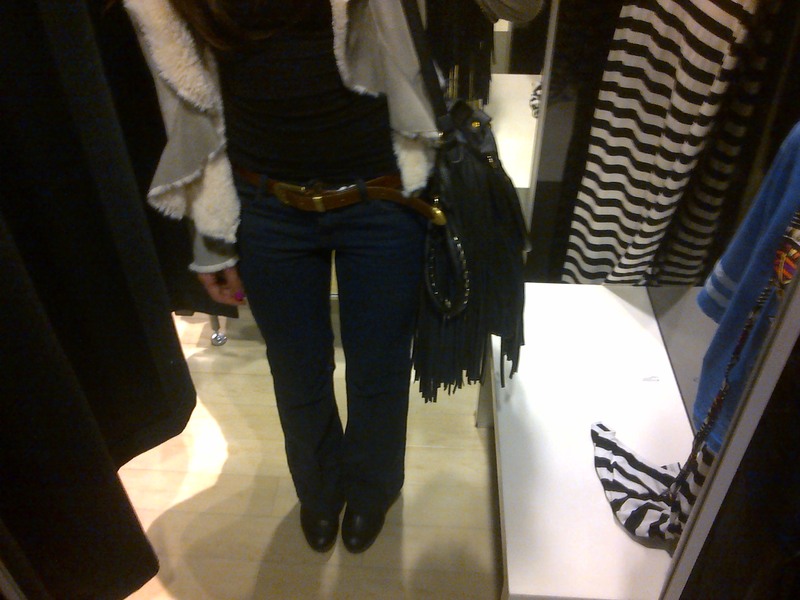 I still love my skinny jeans but the flared type are perfect for creating a 70’s look. I can’t wait to wear these jeans during the summer months with a cute top & wedges. Whilst in Primark I bought a gorgeous Stripe Maxi Skirt which I mentioned in my earlier post. I also picked up some pastel colour socks & a necklace. My Dad’s brand new truck arrived today & I am in love. I have never been a girly girl when it comes to vehicles & this truck is my dream car. I love big trucks, Mustangs & Harley’s! Love this look, love bootcut jeans! Love this look! It reminds me of Jennifer Aniston for some reason!